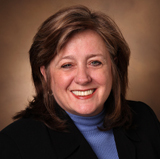 Rene Love, DNP, MSN, has been named director of the Psychiatric Mental Health Nurse Practitioner Program at Vanderbilt University School of Nursing. She succeeds Susie Adams, Ph.D., R.N., who was recently named Nursing Faculty Scholar for Community Engaged Behavioral Health at VUSN. Love has taught VUSN students for 15 years, including courses in the MSN and DNP programs. She has secured grants focused on mental health in public schools, such as developing state guidelines for mental health for the Tennessee State Board of Education. She speaks at national conferences on topics such as how to prepare school systems for post-crisis responses and advocating for change in the psychiatric nursing workforce. In 2012, she was awarded the Jeanette Chamberlain award for service from the International Society of Psychiatric Nursing. She is an active member of Sigma Theta Tau International and was recently accepted into the National Academies of Practice. Love earned her BSN from Valdosta State, and her MSN, DNP and Family Psych Mental Health post-master’s certificate from VUSN. She is currently pursuing her Ph.D. at the University of Arizona.